Deolinda (deJesus) Cardoso 95 of Fairhaven, formerly of New Bedford, passed away Friday February 1, 2019 at Our Lady’s Haven. She was the widow of Antonio Cardoso and daughter of the late Adolfo and Palmira (Victorino) deJesus. She was born in Chaves, Portugal and had lived in this area for many years. Deolinda was a communicant of Our Lady of the Immaculate Conception Church. Survivors include her children Jose Cardoso of New Bedford, Joao Cardoso of Acushnet, Adriano Cardoso of New Bedford, Carlos Cardoso of New Bedford, Fernanda Abreu of New Bedford, Arminda daConceicao of Tampa, FL, Isabel DaSilva of Virginia and Maria Cardoso of Fairhaven. 6 brothers and sisters, all of Portugal, many grandchildren, great grandchildren and great-great grandchildren. She is also survived by nieces and nephews. 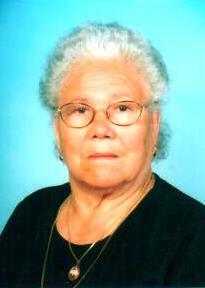 She was the mother of the late Maria Natalia DaSilva. Visiting hours are Tuesday 4-8pm at the Boulevard Funeral Home 223 Ashley Blvd. Her funeral mass will be said 9am Wednesday at Our Lady of the Immaculate Conception Church. Burial will be in St. John’s Cemetery.